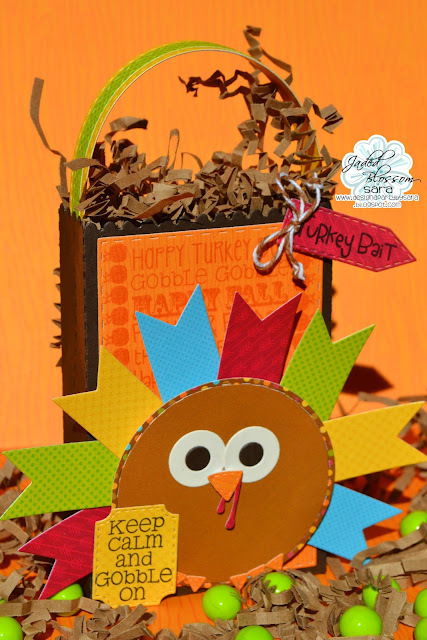 It's Sara with Design a Party by Sara and I'm here to share a treat with you, so I made this fun Goody Bag turkey treat! I used this months Monthly Spotlight stamp set. 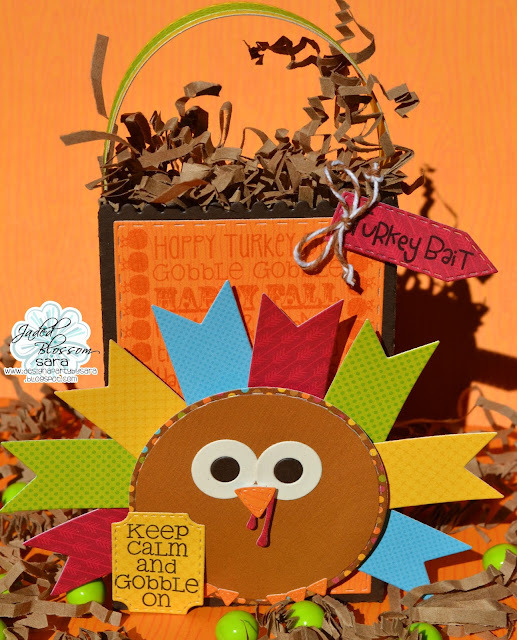 This stamp set is on sale for $10.99! EEK! I love this little turkey! He was made completely out of Jaded Blossom Dies. Don't forget the October Challenge has started and the theme is Halloween! 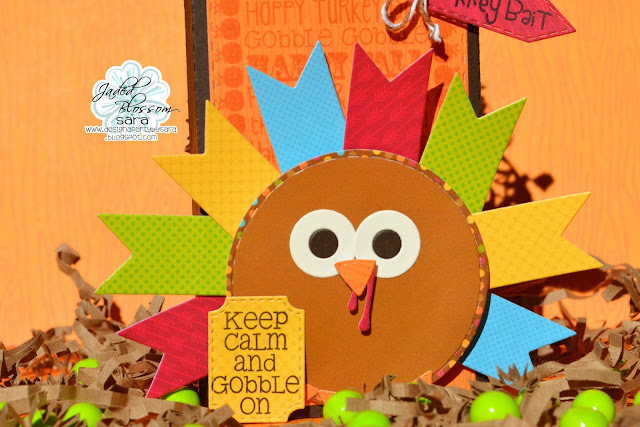 Check out the blog to see what the DT has created and link up your project too!